The start of a new year is a good time to review the resources that help you make your best money decisions. We know that money can be a scary topic but knowledge is power and there are many resources geared to letting you dip your toe in the waters. You don’t have to become a financial analyst or a planner — you’ll simply learn a lot that will help increase your confidence in making financial decisions and help you to know what questions to ask. 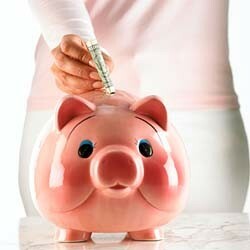 To start on your “homework” for 2012, check out some of our favorite money resources. There’s something for everything and for every type of learner — whether you’re self-motivated, you prefer group learning or you’re looking for one-on-one learning opportunities. Globe Investor — This section, both online and in print, keeps you up-to-date on both the bigger economic picture and the financial markets as well as personal finance and investing news. Find it online at www.theglobeandmail.com/globe-investor. The MoneySense Guide to Retiring Wealthy, from the Canadian personal finance web site MoneySense comes with several guides, including this primer for a step-by-step financial plan. Find it at www.moneysense.ca/books. Smart Couples Finish Rich: 9 Steps to Creating a Rich Future for You and Your Partner (Canadian Edition) by David Bach, a bestselling author and financial coach. Bach and his ‘Finish Rich’ advice are found online, in books and in the news media.While Bach is an American and some of his advice is US-oriented when it comes to tax and other issues, many of the basic financial steps are those that apply no matter what side of the border you’re on. We also like Smart Women Finish Rich. The Soul of Money: Transforming Your Relationship with Money and Life by Lynne Twist A unique look at money that deals with our attitudes towards it. Your relationship with money is really a first step — until you truly examine your attitude towards it, it is difficult to start getting a handle on how to save, spend and invest. Money, A Memoir. Women, Emotions and Cash by Liz Perle – While women would share stories about their most personal issues, Liz Perle tackled the one that remained a taboo — money. And more specifically our emotional relationship to money. Her book tells her own story and those of other women. You may see yourself in those stories; you’ll come away from reading it realizing that if you are to truly take control of your financial future, you have to be honest with yourself about the influence money has on you. A comprehensive hands-on primer for people who are looking to learn more about managing their money and want to create their own basic financial plan. In addition to a learning guide, worksheets and downloadable audio learning, you also have access to our monthly question-and-answer hotline, which gives you a chance to ask any questions that arise as you take control of your finances. Meet our Money Coaches Canada team. Our coaches are located in several cities across Canada and work with clients either in person or using teleconferences and on-line meeting tools. RSPs, TFSAs, paying down debt: What should you do?